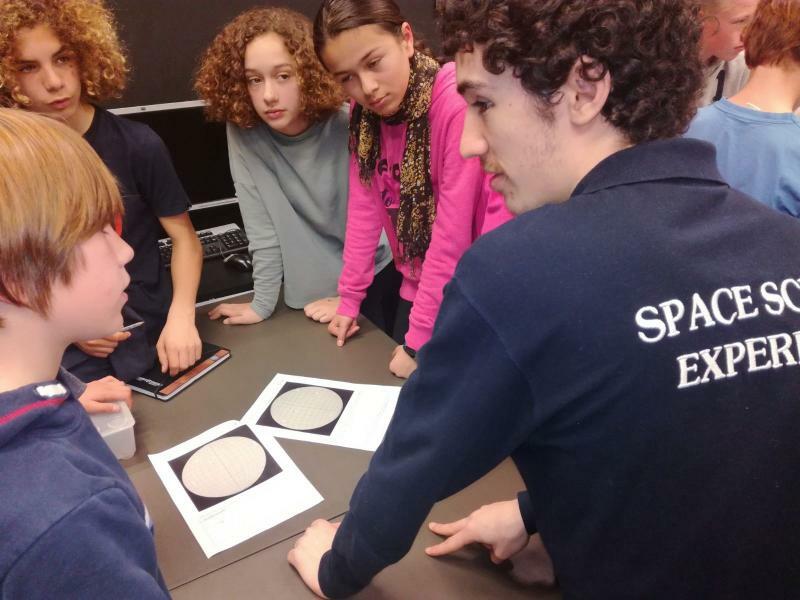 During the 8th of March students from Lycée Molière came to ESAC to work on the scientific case about the sun's rotation. 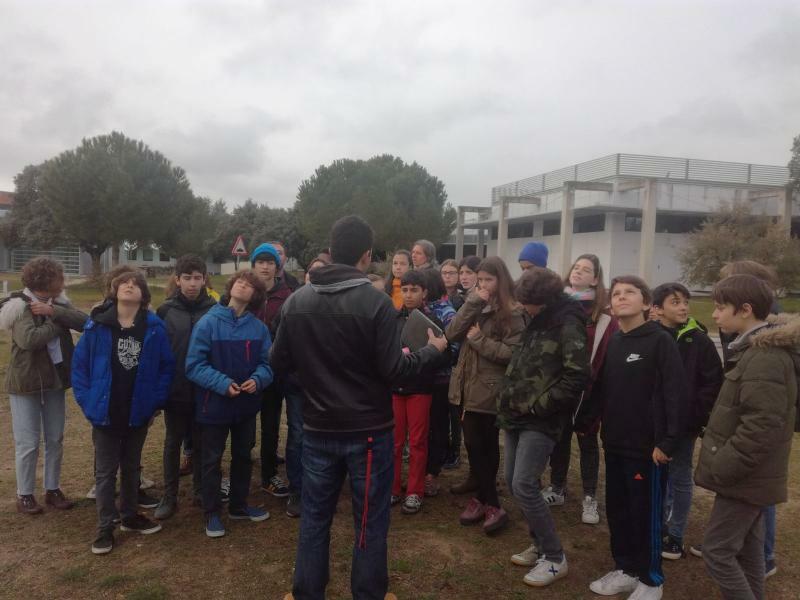 A few days before the visitthey had the opportunity to chat in Skype with the coordinator of the CESAR project, Dr. Michel Breitfellner, where they asked different questions about the solar system or the training astronauts have to complete. 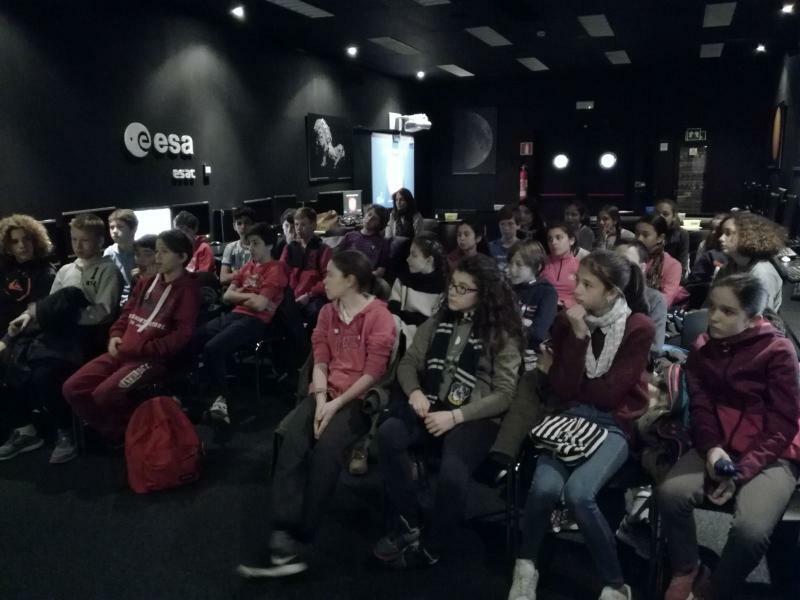 Once they arrived at ESAC we slipt the students into two different groups, one of them started working on the scientific case while the other made a tour visiting the scale models of ESA's space missions. 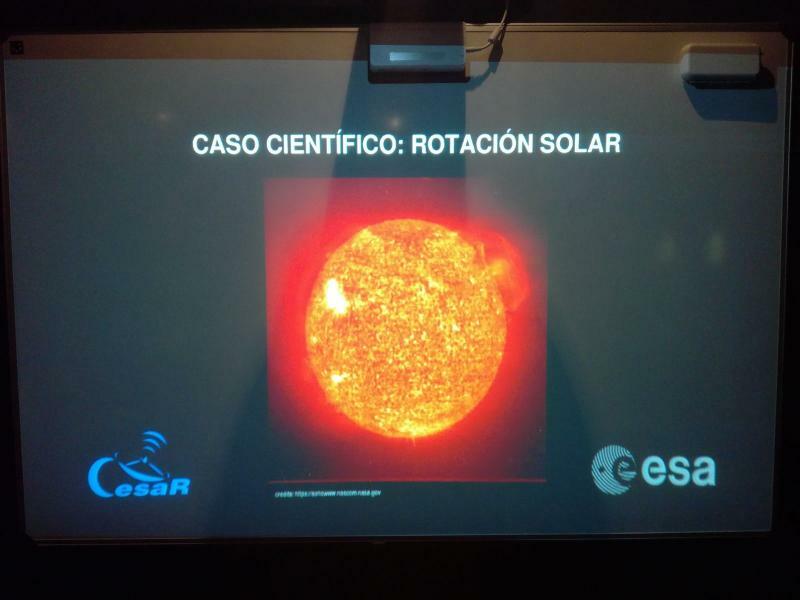 At the scientific case they had to work in teams measuring the movement of the sunspots to calculate the differential rotation of the Sun surface, they achieve it with great precission. While visiting the installations they also had the opportunity to touch a 3D printed model of the comet Churyumov-Gerasimenko 67P and section of the Ariane 5 rocket.